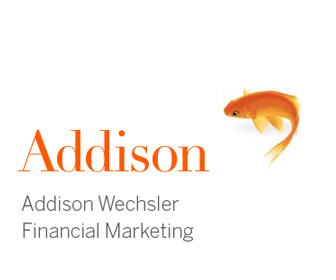 One of the oldest names in the mutual fund business has joined the blogosphere. Pioneer Investments [profile] has started a blog, followpioneer.com, featuring posts from U.S. chief investment officer Ken Taubes, U.S. retail sales and marketing chief Joe Kringdon and others. "We, like everybody else, have been looking at multiple channels of communication to our clients," Kringdon said in an interview. "We recognize that social media has become an important part of the communication landscape." Over at Columbia Management, CIO Colin Moore and his team have also become bloggers. Click here to view Columbia's blog. In addition, Columbia launched a YouTube channel and created a Twitter account(twitter.com/@ColumbiaMgmt). "We're using social media to provide valuable content that helps financial advisors build relationships with clients and prospects," said Chris Thompson, head of product and marketing at Columbia Management. Pioneer Investments today announced the launch of an investment blog featuring timely commentary on the economy and the markets from some of its senior portfolio managers and executives. 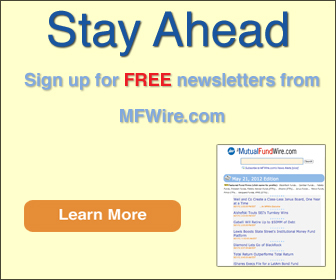 The blog is open to the public and provides easy access to insights on current investment topics. The Pioneer Investments blog can be accessed at followPioneer.com. Investors and advisors can subscribe to the blog and receive email notification of updated content via Pioneer�s eNotify system, which is accessible through the blog. "followPioneer is just one step we are taking to bring Pioneer�s intellectual capital, in the form investment ideas and market insights, to our clients and investors in an easily accessible and 'real time' manner," said Joseph Kringdon, President of Pioneer Funds Distributor, Inc. and Head of U.S. Retail Sales & Marketing. "We are committed to providing advisors and investors with timely views into the markets and sharing our best strategy ideas. We are also committed to using a variety of tools to distribute this information to a broad audience, which includes expanding the use of social media. The blog is an important new resource. Over time we will evolve with additional multi-media capabilities and social media tools." followPioneer can also be accessed through Pioneer's U.S. Web site, us.pioneerinvestments.com. BOSTON-- Columbia Management, the seventh largest manager of long-term mutual fund assets in the U.S., has launched a new social media program to help financial advisors communicate more effectively with clients and prospects. *@ColumbiaMgmt [twitter.com/@ColumbiaMgmt] on Twitter provides notifications about blog entries, market commentary, news releases and more. *Columbia Management YouTube channel [youtube.com/columbiamanagement], offers an extensive video library featuring current thought leadership and investment themes. "We're using social media to provide valuable content that helps financial advisors build relationships with clients and prospects," said Chris Thompson, head of product and marketing at Columbia Management. "We're excited to use these new outlets to share our market views and company news." Columbia Management is the seventh largest manager of long-term mutual fund assets with $325 billion under management as of September 30, 2011. Columbia Management is a subsidiary of Ameriprise Financial, Inc. (NYSE: AMP - News). For more information, visit columbiamangement.com. At Ameriprise Financial, we have been helping people feel confident about their financial future for over 115 years. With outstanding asset management, advisory and insurance capabilities and a nationwide network of 10,000 financial advisors, we have the strength and expertise to serve the full range of individual and institutional investors' financial needs. For more information, or to find an Ameriprise financial advisor, visit ameriprise.com.